I was intrigued by the different layouts used for the UK and the NA covers – including the use of the mirror image. Overall, as physical books, I think the UK version is better but I do prefer the closer shot of the models in the NA cover! I guess a combination of the two would be perfect! 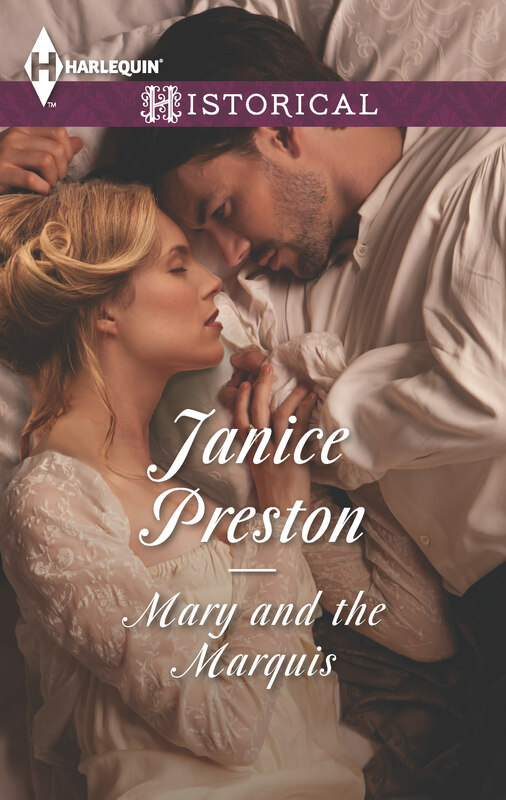 When destitute widow Mary Vale aids an injured man on the road, she is shocked to discover that he is the reclusive Lucas Alastair, Marquis of Rothley! She’s intrigued by the dark marquis, but when she offers to nurse him back to health in return for shelter, he proves a difficult patient! Purchased in WH Smith today – and put on my ‘to be read’ pile. Thank you, Sally although if your TBR pile is anything like mine, it’ll be an age before you get to it!